What Is Weather To Fly? Paul Hamilton provides flight training for private and sport pilots at Carson City Airport in light-sport Airplane Factory Sling, Zodiac 650, and Evolution REVO trike. 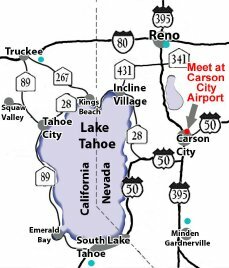 It would appear easy to find the Carson City Airport with a smart phone or GPS, but many people get lost with this technique. Once you get into Carson City, it is best to follow the directions below and you will go right there and avoid the frustration of getting sent to the wrong place. From the 395 freeway, take exit 41 and go east on College Parkway. 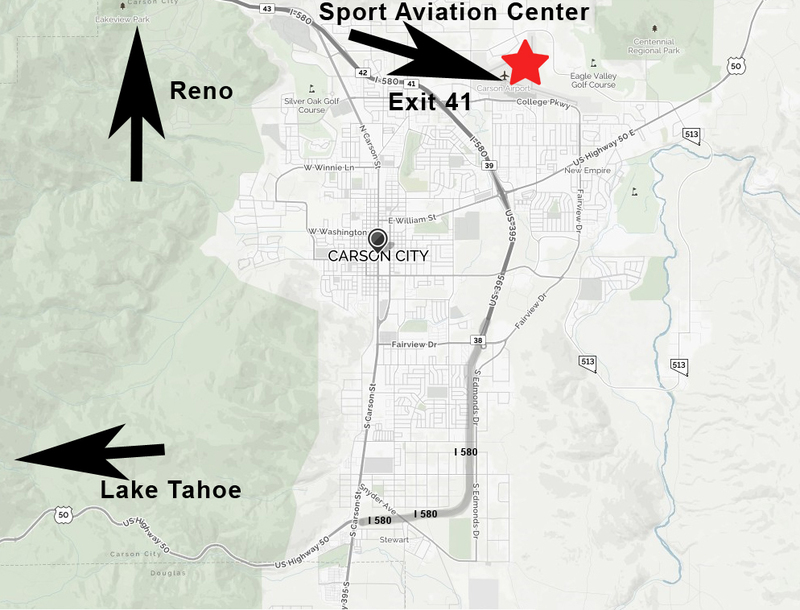 The airport is less than a mile from the freeway (College Parkway also crosses the 395 main business Carson Street). Address is 2640 E. College Parkway, Carson City, NV 89706-0402 USA. You drive into the main airport terminal entrance and go right to the Sterling Air building. This is my office FBO. If the Sterling Air building is not open, hang tight and I show up typically at our agreed time. Call Paul’s mobile at 775-772-8232 with any questions or if you get lost. Click here for MapQuest detailed map and directions. Click here for Google detailed map and directions. Contact Paul, mobile phone 775-772-8232.